A few days ago, CMT launched a new format and website called CMT Edge with the intent of covering artists outside the norm of mainstream country music. Since then I’ve been asked many times what I think of it, and my stock answer has been that I don’t exactly know what I think of it yet. The venture is still in its infantile stages, and it will take time to determine just what CMT Edge will be, and the impact it will have. Having said that, I see no reason at this point not to stay positive about it. It’s always good to have more avenues for good music to reach people. As I always say, I want good music to get popular, and popular music to get good. Any sense of ownership or desire for exclusivity anyone might feel with the independent music they love and worry that CMT Edge might erode that exclusivity is being silly and selfish. So far, they’ve featured artists like Sara Watkins, The Avett Brothers, Trampled by Turtles, and JD McPherson among others. They also appear to intend to use CMT Edge to cover older country artists like Dwight Yoakam and Patsy Cline; both who’ve been featured already. If you look at the categories of the 11 features posted on CMT Edge so far, 8 of them are labeled “Americana”. I don’t think it’s coincidence CMT Edge was launched the same week the Americana Music Conference is going on in Nashville mere steps from the CMT headquarters. Americana is growing, and CMT would be fools to not try and tap into that market. Make no mistake that CMT, which is owned by Viacom, would have never launched this venture if they didn’t think there was a profit to be made, and that there’s demand for the content. So what is the possible downside to CMT Edge? It could possibly take attention away from independent media outlets, especially ones in the Americana world like No Depression, Paste, or possibly in some small respects Saving Country Music. But again, more outlets for good music is generally a good thing, and if these outlets feel threatened, they should step up their game. 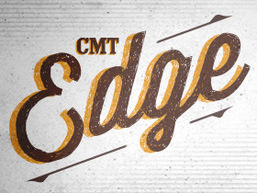 And I doubt CMT Edge will dig as deep as many of the current independent outlets do. As much as bands like Trampled by Turtles and The Avetts are on the outside looking in when it comes to mainstream country coverage, they are also very successful bands making good livings playing music. To stay profitable, CMT Edge will stay with established acts who simply don’t fit comfortably in the mainstream country world. Don’t expect Hellbound Glory and Jayke Orvis to get features soon. My biggest concern is in the underlying subconscious labeling of acts that could come with CMT Edge coverage. Some may see a band being featured on CMT Edge as an implication that they are a smaller tier, second rung act. By not putting these acts beside country music’s biggest names, but below them through an outlet meant to cover the “edge,” there’s the danger of typecasting these artists as cut-rate. It’s always been a belief of mine that the top tier independent talent deserves equal-billing with country’s top names. If just given a chance, an artist like Justin Townes Earle could possibly score just as high as Jason Aldean with the public. Consumers just need to be given that choice. CMT Edge in some respects kicks the “more choice” can down the road instead of confronting mainstream country’s issue of a lack of new talent entering the genre. Mainstream country lacks a legitimate farm system. And once an artist is cast as Americana/Independent/Underground, etc. they’re usually beholden to those avenues for their music till eternity, many times facing low ceilings of success and no chance of mainstream radio play or media coverage. Meanwhile in mainstream country, there’s few artists working the traditional program, going from honky tonks, to clubs, to theaters, to eventually the arena and a major label deal. Instead, new country talent is culled from the safe, easy avenues of reality TV programming, or professional Nashville songwriting circles. This has left country creatively bankrupt, as the most-creative and brightest talent flocks to Americana because they don’t want to be labeled as “country” because of the non-creative, commercial stigma. Americana may have a lower commercial ceiling than mainstream country, but it continues to find some very legitimate traction, and seems to be building in stature and infrastructure each year. NPR is now offering Americana a big radio outlet, festivals are forming and growing that appeal to the Americana crowd, and small to medium, sustainable music entities like Thirty Tigers, Bloodshot Records, Dolph Ramseur (the man behind the Avett’s success and the Carolina Chocolate Drops) are beginning to create real organization behind the Americana idea, and are even having success getting their artists on programs like The Late Show with David Letterman, and Jimmy Kimmel Live. What does this all have to do with CMT Edge? Clearly the independent side of the music world is growing, and CMT doesn’t want to be left in the dust. As all popular music continues to coalesce into one big “popular” mono-genre, music that is indefinable by genre and/or appeals to micro-sects of people is expanding. Whether it is Americana, classic country artists, neo-traditionalists, or punk-country, appeal for independent music is increasing, and CMT Edge is proof of that. Is CMT Edge commercial exploitation of this music? We’ll have to see, but there’s no indication that is what is happening at the moment. As much as I think that much of CMT’s reality programming perpetuates negative country stereotypes and that its parent company Viacom is generally a negative force in the media marketplace, there’s nothing from CMT Edge so far that irks me. So let’s stay positive about it, work as a music community to attempt to steer it in a positive direction, and be glad that better music is catching on and continues to find new outlets. I actually saw a Tom Waits video on the Edge of Country. Seriously. I’ll be honest I see this as the same way they started the CMT Pure segment as well. They were doing the same thing as most radio stations were realizing that there was a demand from listeners for classic country or listeners wanted alternate music other than mainstream country since most people are unaware of the artists Saving Country Music and Muddy Roots promote. So most of those radio companies have created stations for classic country to satisfy that demand. I think now CMT has realized there is a demand for artists we listen too since bands like Avett Brothers, Mumford and Sons, and Texas (red dirt) artists are starting to become popular due to their exposure within Award shows, Late Night talk shows, Major music festivals, etc. Hopefully this new CMT Edge promotes all facets of roots music other than what is labeled Americana. Hopefully people realize there is much better music out there than what is spoon fed to them. Has anyone else noticed how many Red Dirt/Texas artists are now becoming popular in Nashville? Eli Young Band, Kevin Fowler, Wade Bowen, Jack Ingram, Jason Boland, etc. I think this has all started due to the success of some of these artists on the charts. See, this is one of my concerns. CMT portrays a Jason Aldean country rap or Taylor Swift’s “We Are Never Ever Getting Back Together” as country, but insists on labeling music from The Turnpike Troubadours and Trampled by Turtles with subheadings, as if they are some subordinate version of country. I think it’s great that CMT wants to cover these bands and I don’t want to look a gift horse in the mouth, but how about putting these bands on parallel footing with mainstream country’s big names and let the public decide who they want to listen to? I don’t know what concrete country is. Maybe it denotes an urban origin? my first guess was listening to avett brothers = watching concrete dry but i was way off. I think CMT tried this once before at the same time GAC’s Edge of Country was airing. I think it was called Wide Open Country or something like that. It was a good attempt…had some pretty cool artists on there. I think I even remember seeing a video of Folsom Prison Blues with Dale Watson playing the part..but was the original Johnny Cash cut. Would like to find that video again. But I also remember seeing some crap from Jack Ingram too. It was an attempt…but GAC’s Edge of Country was better in my opinion. But I’ll definitely tune in to CMT Edge and see wha they have to offer. thanks for the heads up! I will note that I first saw/ heard Cody Canada and the Departed on the Edge. This led me to check out Ragweed, who i had totally missed, and who is now a favorite. So, a positive result in your mind, I assume.